What if there was no Leap Day? How many times have you said. "I wish I had some extra time"? Today, you get it. An extra day! It's Leap Day, a tradition that stretches back all the way to 46 B.C.E. Back then Julius Caesar would make trips to Egypt to visit Cleopatra. And the Egyptians had figured out something about the calendar. The year was actually 365.25 days. To compensate, they added a day every four years. So Caesar went back and changed his calendar. He added the day to February because it was actually at the end of his calendar year. And it stayed that way for about 1,600 years. The problem is a year on Earth is actually 365.2422 days. Now, .0088 days may not seem like much, but those 11 minutes and 14 seconds add up over the years. All the church holidays seemed to be falling further and further behind. Enter Pope Gregory XIII. He (and a reform commission) figured out the calendar was off by about 10 days. They reset the calendar and figured out that if we skip leap year in 3 out of 4 years that end in "00" everything would stay the same. 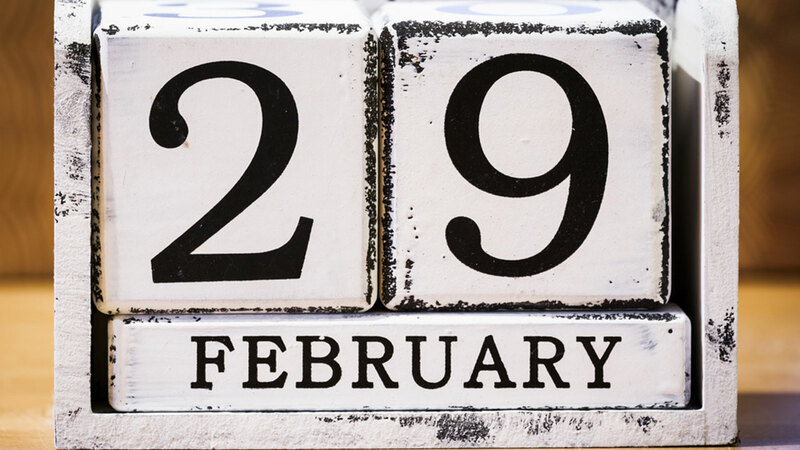 If the "00" leap year is divisible by 400, it would stay a leap year. Year 2000 was (and was a leap year), 1900 was not. Roman Catholics quickly adopted the calendar, but many Protestants were skeptical of anything "Catholic". The American Colonies didn't accept the new calendar until 1752. Many other Protestants didn't start to accept the calendar until 1775. This "Gregorian" calendar also is off, but by only 26 seconds/year. That means an extra day won't have to be added until 4909, and none of us will be here to see it. BTW, if we hadn't celebrated Leap Days since their inception (46 B.C.E.) today's date would be July 15th, 2017 and summer would actually be starting sometime in December and we'd be in for white June next year. Crazy!